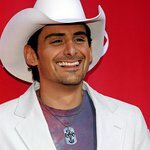 Brad Paisley has been performing professionally since he was thirteen. His haunting country style has not only earned him international recognition but 14 Country Music America awards. He is currently releasing his 9th album, entitled ‘This Is Country Music’. 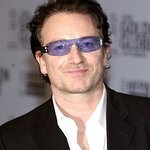 In addition to his resounding success, Brad finds time to support numerous charities. Even before he has signed his record contract, he helped out at various nursing homes and civic organisations. 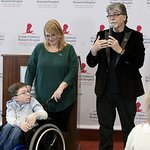 He has created his own chairtable fund to aid the charities in West Virginia, set up the Brad Paisley Celebrity Invitational Fishing Tournament in aid of the St Jude Children’s Research Hospital. He has also supported the Michael J. Fox Foundation for Parkinson’s Disease Research, the Elizabeth Glaser Pediatric AIDS Foundation, Wal-Mart’s Take a Kid Fishing Day, the Salvation Army’s Angel Tree programand the T.J. Martell Foundation. In 2004, he was awarded the Country Radio Broadcaster’s Artist Humanitarian Award. Google trends for "Brad Paisley"